There’s A Peaceful Place Where The Views Go On Forever. And The Memories Seldom Fade. Welcome To La Vista. 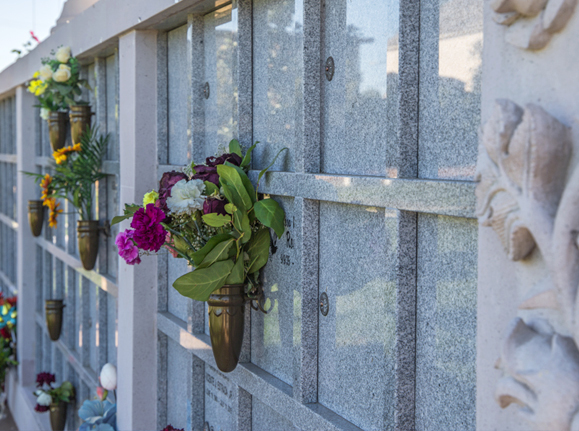 We have worked with every mortuary in San Diego County and often assist out-of-area families in coordinating local burial arrangements for their loved ones. Our commitment to service and detail has earned us the trust of families of all faiths throughout San Diego. San Diego families know they can expect more from La Vista Memorial Park, and we work daily to meet to exceed those expectations. Commemorating together can be a cathartic process. We offer many ways to memorialise your loved ones, such as a viewing in our elegant gathering room or a graveside funeral on our expansive grounds. Selecting a vesselThere are a wide variety of vessels we offer. 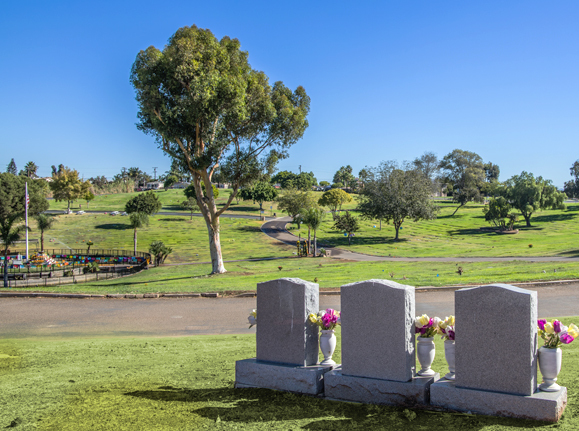 We will guide you to the best choice that fits your loved ones final resting place. Whether you choose traditional burial or cremation, we offer a variety of options and pricing to suit your needs. Regardless of the size or type of services you plan for, we provide many settings to choose from. To celebrate the life of a loved one we offer funeral services, memorial services, viewings, receptions, and more. We’ll take care of your loved one from beginning to end, we will guide you and your family through this difficult time, with love and compassion. For those who prefer cremation, each one comes with a personalized service that brings together family and friends for a proper goodbye. It Might Be Too Late To Think About The End, At The End. Eliminate the burden and hardship one must go through while making cemetery arrangements at the time they are urgently needed. Having every decision made and prearranged makes the celebration of one’s life and legacy easier for your family. In times of financial uncertainty, it makes perfect sense to take advantage of these promotions at today’s prices. By making a contract, you freeze the price and protect your family in the future if prices are affected by inflation and higher costs of living! 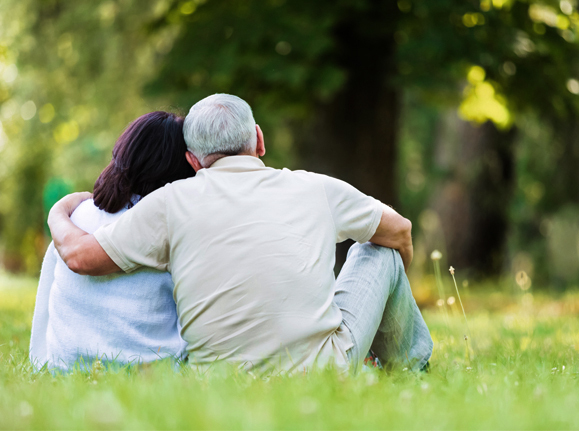 In a calm and rational manner, you can make decisions about your estate and funeral arrangements – together. Advanced arrangements provide families the freedom and opportunity to decide and make arrangements while living. Burial in a VA national cemetery includes: An assigned gravesite (when space is available), Opening and closing of the grave, A grave liner for casketed remains, A government headstone or marker, and Perpetual care at no cost to the family. For your family’s convenience, la Vista Memorial Park will be glad to help request your flag. 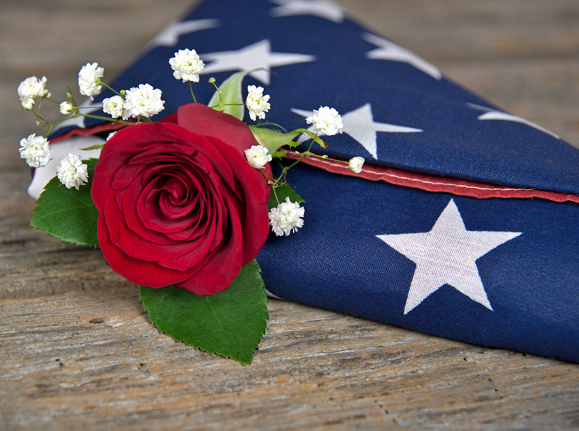 A flag is provided at no cost to drape the casket or accompany the urn of a deceased veteran. As part of our service to veterans, La Vista Memorial Park offers caskets and other merchandise at a discounted price to members of the American Legion and VFW. 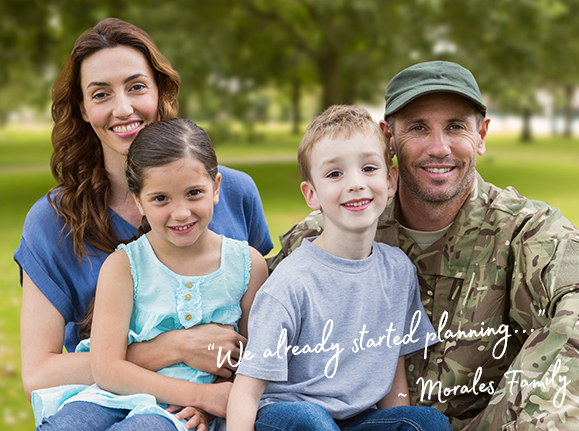 For more information about veteran services and your VA burial benefits, contact us. From Generation To Generation. Our Promise Lives On. We Make Final Wishes Come True. Experience Comprehensive: We’ve been helping San Diegans since 1868. We are the 2nd oldest and the only privately owned cemetery in San Diego. 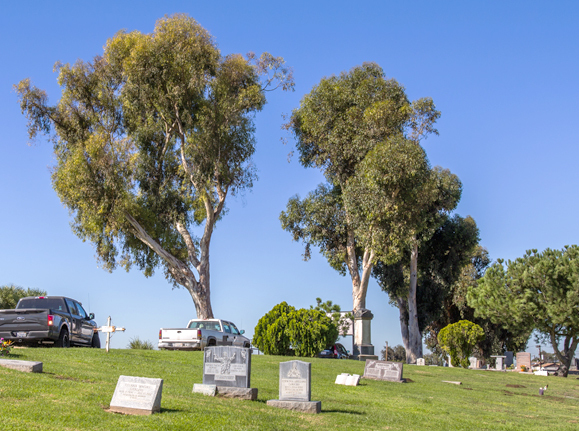 We are also the only family-owned cemetery in San Diego. Services Helpful & Caring: We make it simple for you. When your loved one passes we can handle everything from the first stages of planning to post funeral paperwork. You don’t need to go anywhere else. Values & Integrity Everybody Is Welcome: We chose this business because we care and we want to ensure all families, regardless of faith, culture, and social status have the opportunity to a proper farewell. Process Effortless: We try to make our process as effortless as possible for you. First, we listen to your needs, and then we will help you select the option that will best suit you and your family’s wishes. Communication Frequent & Warm: Every family is attended by a dedicated staff member to ensure all questions and concerns are answered and addressed. We have supportive professionals that receive every family with warmth and compassion, and are ready to help you. We want you to feel like part of our own family and not just another number. Flexibility We Go The Extra Mile: Because we are privately and family owned, carrying out your loved one's wishes and to accommodate your needs, can be handled easily. We aim to make all wishes come true. Pricing The Most Affordable In The Industry: We work to ensure that every family has the opportunity to make arrangements regardless of their budget. Our goal is to fulfill your loved one’s wishes and we will work together to carry out those wishes, fitting it into your budget. Our Family Dedicated To Yours: We are proud that our staff has been together for many, many years. We consider ourselves a close family, and our values are to show how much we care about your family with warmth, love, and consideration. Passion To Serve You Are Our Priority Always: Everyone on our staff really cares, from our grounds crew to administrators, to our funeral and cemetery coordinators. We come to work every day to relieve your burdens and be of service to you through your difficult time.